Adding fire to an image can create tons of interest and energy. Having the source of the fire come from a person sends the interest off the charts! 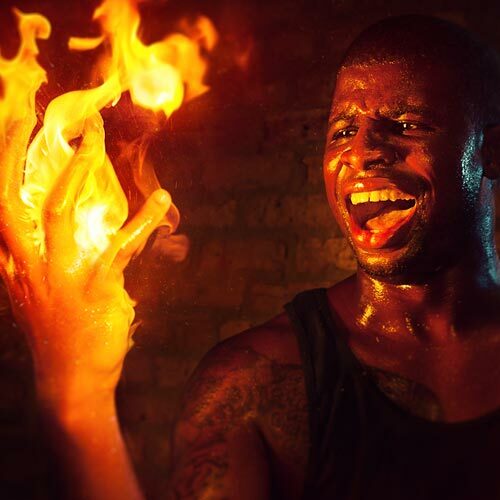 Learn to create realistic fire in a photo! This tutorial will teach you how to clean a background, add fire, create custom brushes and so much more!